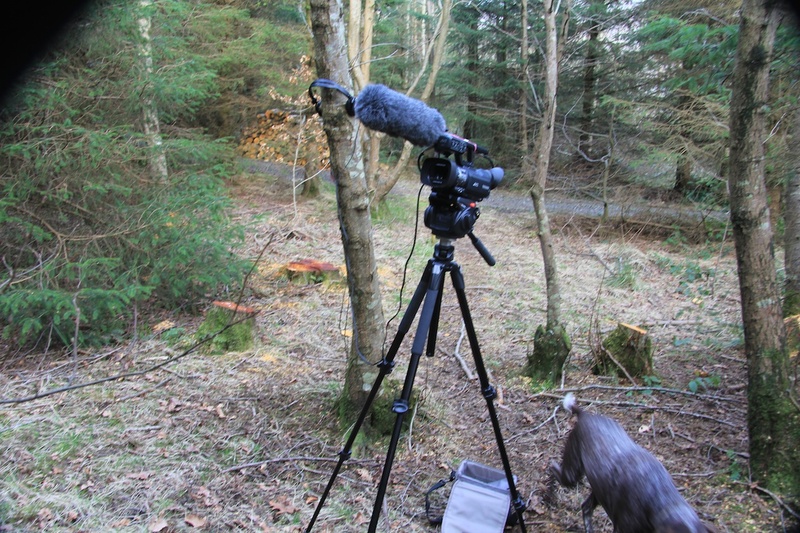 The Hollywood Forest Story : An Eco-Social Art Practice | Co. Carlow Ireland – Since 2008, The Hollywood Forest Story tells how new-to-Ireland continuous cover forestry is transforming a small conifer plantation into a permanent, mixed species forest. Its one new story for Earthly wellbeing. Its also a story of the social power of eco-social art practice to foster ecoliteracy and agency for creative practitioners and their audiences. Hello, I’m an Irish-based New Zealander and my work is a response to eco-social concerns. My ‘slow art’ practice is inspired by the small conifer plantation community that I live with, in County Carlow, Ireland. Since 2008, my eco-social art practice has developed ongoing transversal activity to form the Hollywood project. This involves: exploring, learning about new-to-Ireland, Close-to-Nature continuous cover forestry, experimental film-making, writing, eco-philosophy, national forest policy development and ecocide law advocacy (I succeeded in getting continuous cover forestry as the key point in the new Irish Green Party Forest policy (2012) and that the Green Party of Ireland and Northern Ireland recognise that a crime of ecocide (the long term destruction of ecosystems by man) be supported in international law (2013). 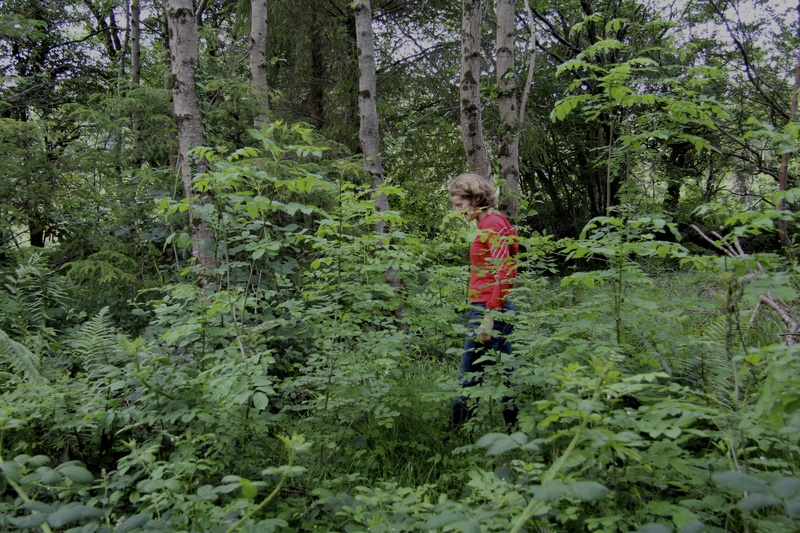 The video (above) Reversing Silent Spring (2016) sums up my ongoing, now eight-year-old Hollywood forest transformation project (in rural Ireland). As I have recently been recording the increasing diversity of the dawn chorus at Hollywood, it struck me that my ethico-aesthetic-political work is a modest attempt to respond to Rachel Carson’s seminal environmental book Silent Spring (1962). The video highlights how my transversal eco-social art practice explores the Western cultural-political ecology of industrial monoculture forestry to evolve an alternate flourishing forestry. 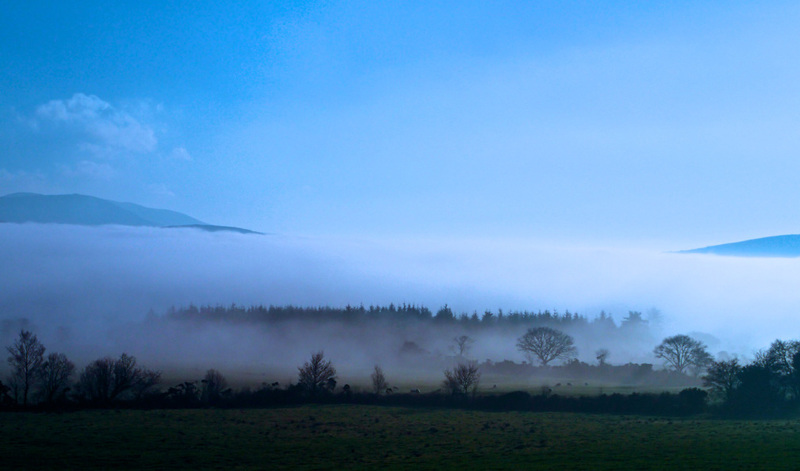 New-to-Ireland ‘Close-to-Nature continuous cover forestry which I employ in my practice, prioritises permanent, thriving forests and is a valuable means to rethink and move away from life-diminishing industrial land practices to towards life-sustaining models and policy. Importantly, reviewing the ecocide of industrial forestry is also a means to understand that planetary eco-social emergency is, at its heart, a crisis of Western culture. A culture that erroneously sees itself separate from and destroys the nonhuman world will not advance a life-sustaining and just world; the Hollywood forest project allows me and others to envision living life differently. And found it very solid, galvanising, gentle and dogged (!). Cathy understands her work as a form of ‘deep sustainability’: it includes ecological functions, aesthetic innovations, and most importantly, community-based environmental consciousness through forest policy development, which entails an alteration in how individuals relate to their communities. She first learned about community forestry practices in 1995 through a South Leitrim Crann project; eleven years later, she revisited the place through a documentary lens and exhibition space, with support from Crann and The Dock in County Leitrim. In these artistic works, Cathy brought together the voices and images of local people who volunteered to plant broadleaf woodlands almost twenty years ago. This new sustainable wood culture in what was a monoculture conifer region now offers an ecological and economic model for other regions in Ireland. Cathy argues for careful tending of land-bases that we must return to if all species are ‘to survive and thrive’. Her attention to place also asks us to slow down and pay attention to the richness of forest lives. There is a practical value in slowness: it’s healthy for us to pay attention to the textures of places. It allows us to create unexpected networks with lives that we wouldn’t have otherwise come into contact with. The Red Stables Art & Ecology summer school, Dublin City Art Office. ‘I was most struck by the line – “there is something oddly reassuring about young trees at night” …. I doubt I can add anything so beautiful as the previous comments but I do admire the blend of poetry and prose in your written description. There’s also a moment in the video when your dog walks out of the blackness and into the light that is wonderfully startling and reassuring. The eyes in the blackness evoke the ancient fear of wolves or being watched followed by the lollygagging (not quite bounding) gait of a trusted companion. The wild and domestic in one lovable body much like your like your own little patch of forest which must be managed in order to restore wildness. In the video I almost wished that the early shot where you pull focus on the bramble would be held just a moment longer so we can situate ourselves before the montage of ash branches begins. Minor details though, as this is enthralling. A blend of familiar and unfamiliar that only shooting at night can reveal.